This combination, auto, air, ac power adapter is compatible with Dell Latitude , Inspiron and Precision Laptops. 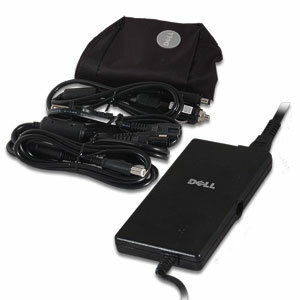 Power your notebook anywhere - on the road, in-flight or at your desk . 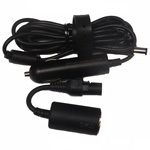 - Plugs into any standard wall outlet, auto outlet or air outlet. 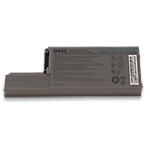 Inspiron: 300m, 500M, 600M, 700M, 710M, 630M, 6000, 8500, 8600, 9300, 9200. Latitude: D400, D420, D500, D505, D510, D520, D600, D610, D800, D820, X300. D600, D610, D620, D800, D810, D820. Precision: M60, M65, XPS M140. 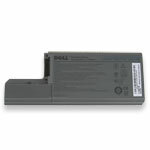 Compatible Dell P/N: 310-6557, UC473, 310-7712, 310-2862, 310-4002, F7970, 310-4804, F2663, W1451, 310-3149 , 310-2860, 310-3399 , 310-6325, PA-1650-05D2, 1X917, 5U092, PA-1650-05D, W5420 A00, 310-7867, HF274, 310-7740, 310-7701, 310-7693, HF274. Size: 2.38" x 5.44" x 1.14"